We need to be 21st century teachers and schools, the students already are. Shift from the paradigm of one to many….. The Year 12 Health class has taken an assessment opportunity, extended it and taken action at their school and in their community (confident student presenters including one of Stephen Dudley’s closest friends) … Social Media has been a fundamental bullying tool, take it from the enemy and use it against them!!! What a great two days this conference was! Why? Because the keynotes and workshops on offer were practical and accessible with ideas to take back to your teaching practice on Monday (or library practice!). The other undeniable strength of Edchatnz was the passion and love of teaching evident in the people there. What an amazing resource the Pond could be or will be. A place where you can search across multiple platforms but more importantly, a place to upload your teaching resources to share with others, find resources that others have found useful and share with you, ask for help and find providers. The main message is that we cannot be the ‘Sherrif’ to our young people and block and deny access but rather provide the tools and knowledge to stay safe in online environments … being safe online is only one part of digital citizenship and I find that the other aspects of digital citizenship are often forgotten – this teacher librarian’s crusade! The new approaches to assessment that NZQA are bringing in will definitely change the landscape in the schools in the very near future. The line between internal and external will become blurred and according to Steve [Bargh from NZQA] this is a good thing as he believes that there is a disproportionate amount of status attributed to external examinations. All assessment will be “on demand” 24/7 doing away with end of year external examinations all together within 3-6 years and it is envisioned that all grading of the “on demand” assessments will be done within 48 hours. The mantra of “anywhere, anytime, online” was mentioned several times. The issue of finding sufficient people willing to mark online was quickly addressed by referencing several countries that had outsourced their marking to India and Bangladesh. Given the extremely low cost of entry to this conference ($20 un-catered, $60 catered), the value of our teachers attending is immediately obvious. This was largely a case of “teachers teaching teachers” about some of their best practice in the classroom, and I suspect this is why so many of our staff came back saying they learnt things they could apply immediately into their teaching practice. Given the success of this conference, it would seem this is likely to become an annual professional development opportunity, alongside the fortnightly Thursday evening #edchatnz chat. 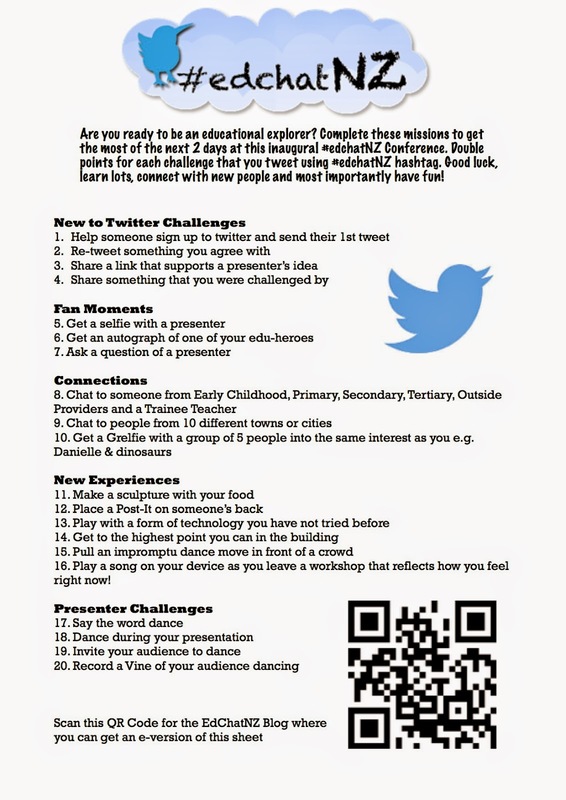 If you’ve not considered getting involved with Twitter for Professional Development at this stage, then hopefully the quality of some of these reflections will encourage you to check it out. 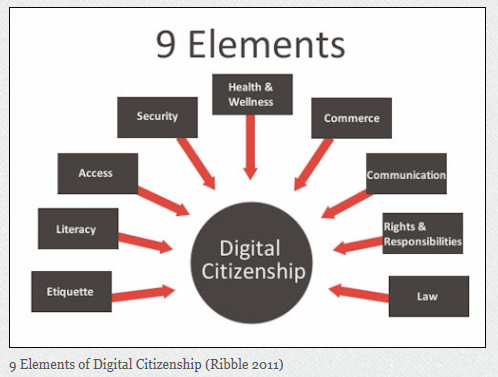 This entry was posted in Digital Citizenship, eLearning, Library, Maths, PE, Preparatory School, Science, SOLO, Technology and tagged #edchatnz, Assessment, blog, Curriculum, Digital Citizenship, Education, eLearning, Hobsonville Point, Information and communication technologies in education, Maths, N4L, NCEA, Pedagogy, PLN, POND, Preparatory School, Professional Development, Science, Secondary School, SOLO, Student engagement, Training, Twitter by Sam McNeill. Bookmark the permalink.